Alda has not seen her Puppy Raising family since January when she was recalled for formal training. 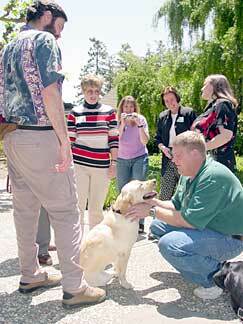 May 17, 2003 - Alda's family meets each other at GDB Graduation. Alda was presented as an addition to the Breeding Program by her raisers. 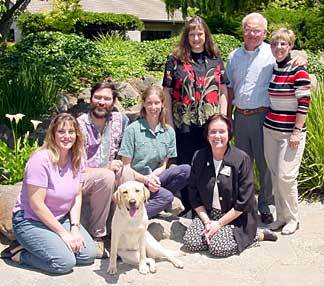 Alda was raised by this team from the Contra Costa East Guide Dog Raisers. 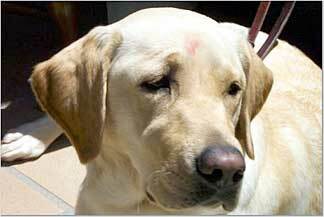 Notice the kiss on her forehead? 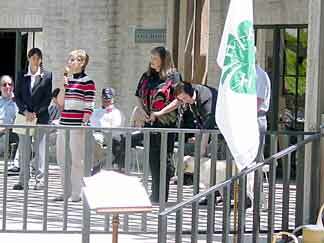 Alda's raisers speak to the audience from the graduation stage describing their pride in raising a Guide Dog.